Historic Santa Monica Airport once again finds itself in the middle of a nasty fight that never seems to end. 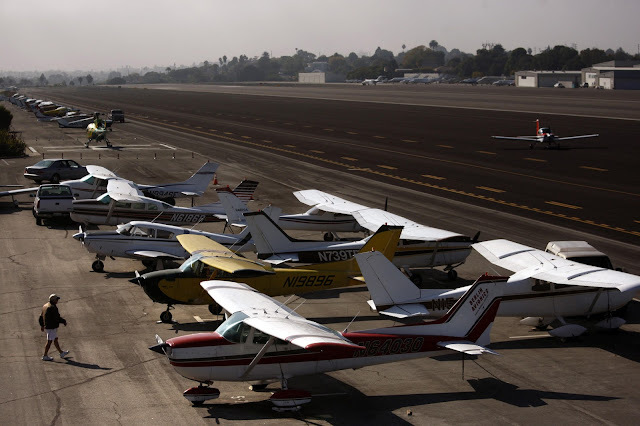 In an unsurprising, unanimous vote last month, the Santa Monica City Council passed a resolution calling for the closure of the general aviation airport by 2018. But there is one major problem with that vote. Standing in the way of any closure is the powerful Federal Aviation Administration, which has ruled that the airport must remain open at least until 2023. For years, many residents have complained about the airport’s noise, pollution and safety problems. That hasn’t always been the case. At one time, the airport was the home of the Douglas Aircraft company. During World War II, thousands of C-47 and C-54 military cargo planes were built at Santa Monica by Douglas ,which employed thousands of workers and invigorated the city’s economy. But after the war, the first anti-airport signs surfaced, and Douglas, frustrated by its inability to extend runways at Santa Monica, moved to Long Beach Airport. Since then, there has been an endless series of moves to close or restrict operations at the airport. Stringent noice ordinances and curfews were passed. However, as size of private jets increased, so did the anger of anti-airport residents. In 2014, Santa Monica voters approved Measure LC, which gives voters a chance to have a say on how airport land would be developed in case the airport closes. Many would like to see a park there. The FAA is basing its decision to keep the airport open at least until 2023 on a $240,000 federal grant received by the city in 2003. Provisions of that grant require the airport to stay open 20 years after it was granted, the FAA says. The city argues the 2003 grant was simply an amendment to the original, larger federal grant the city received in 1994 and didn’t change the expiration date of 2014. It’s unfortunate that this contentious battle continues. Santa Monica Airport is critical to serving regional transportation needs. And, if the airport closes, where would the private jets and other aircraft go? NIMBYism is at work here. There is no easy answer to this frustrating issue, but other options to reduce problems should be explored. Closure should be only the last resort. CARLSBAD — Cavern City Air Terminal in Carlsbad is one of 17 airports in New Mexico awarded funding for runway construction and maintenance. More than $6.5 million is being provided by the Federal Aviation Administration to the airports for repairs. “In communities across New Mexico, local airports play a critical role in the economy. From bringing visitors who want to experience the beauty of the Land of Enchantment to moving New Mexico’s unique products from our chile and pecans around the globe, airports are an essential part of our state’s infrastructure,” said U.S. Rep. Ben Ray Luján in a news release. According to the release, Cavern City Air Terminal will receive $155,000 to fill cracks and provide a seal coat for 5,334 feet in one of the airport's runways. Sherri Chandler, terminal manager, said she is not certain when the runway project will begin. She said the federal government is the main source of funding for airport runway maintenance. "(They) always grant money to maintain runways. It's how most airports survive," Chandler said. "When a maintenance item comes up, it's put into effect." Cavern City Air Terminal is a public airport with four runways. The City of Carlsbad website said the terminal provides services for private pilots and charters and offers flights to cities including Albuquerque and Dallas, Texas through its essential air service provider, Boutique Air. “New Mexico’s airports play a key role in attracting business and tourism to New Mexico and driving our economy,” U.S. Sen. Martin Heinrich said in the release. 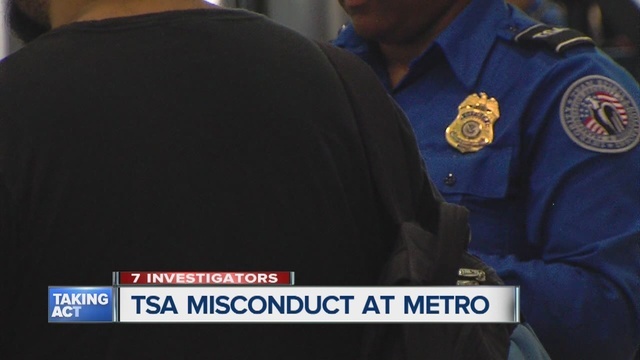 DETROIT (WXYZ) - The congressional report is blunt: "Misconduct at the TSA threatens the security of the flying public." With the massive popularity of ride-sharing, tech companies and startups have tried to "Uberize" just about everything. But the "Uber for planes" business model has had a hard time getting off the ground. The Federal Aviation Administration effectively shut down Boston-based startup Flytenow for operating an Uber-like sharing economy service that connected travelers with private pilots. Pilots would post their flight plans on the startup's message board, passengers would reach out if they were traveling in the same direction, and the passenger and pilot would split the costs. Flytenow turned those pilots into “common carriers,” the FAA said, thus requiring them to obtain a commercial license. But a Chicago startup believes it's found a way to bring air travel to the sharing economy by connecting passengers to licensed, professional pilots. And it just launched its on-demand service nationwide. FlyOtto allows travelers to find, book and pay for regional flights on privately chartered aircraft from their phone or computer. The service, which was born out of Chicago startup OpenAirplane, a company that lets pilots rent planes similar to renting a car, says it gets around any potential local issues as it's governed by Part 135 of the FAA's Federal Air Regulations, which states that only professional commercial pilots and charter certified airplanes can be used. Think of FlyOtto not so much as UberX--where you're connected to any available driver--but rather Uber Black, where you're matched with a professional chauffeur. Here's how it works: Users log on to FlyOtto and enter their pickup and drop off destinations, and they are matched with a pilot and aircraft--usually a piston or turbo prop airplane that seats 3 to 9 people. Users select from the available options, chose their date and time, and pay through the FlyOtto platform. The service works with over 5,000 airports around the country, and is available virtually everywhere in the continental US. FlyOtto takes 7% of the transaction, giving 3% to the credit card companies and the rest to the plane operator. OpenAirplane founder Rod Rakic said FlyOtto is perfect for the traveler who doesn't want to spend 4 to 6 hours in the car, or all day in airport terminals. FlyOtto isn't necessarily for the traveler who wants to go from major hubs like Chicago to Las Vegas, for example, but is better suited for flyers that are poorly served by the airline hub-and-spoke structure and need to get to small and medium sized towns. 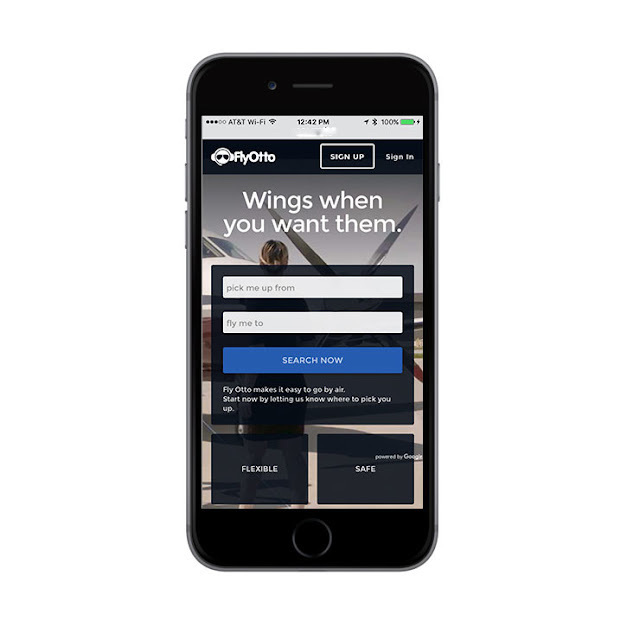 FlyOtto is certainly convenient, but that convenience comes at a price. A one-way flight to from Chicago to Traverse City, Michigan, for example, will run you over $1,500 for a three-person plane. But for those who are accustom to paying for chartered flights, Rakic says FlyOtto is cheaper than the typical process of going through a broker or chartering a jet. OpenAirplane has been building its network of pilots and airplanes since it launched in 2013, and has over 12,000 pilots signed up to fly and 340 aircraft available for rent. Launching a feature for passengers was a natural evolution for OpenAirplane, Rakic said, but he knew he had to get it right to avoid any issues with the FAA. "We designed our business to be completely legal form day one," he said. "It's aligned with federal air regulations, state and local laws...(Our pilots are) getting oversight from the FAA on everything from safety operations, maintenance, and operational oversight." Rakic admits he doesn't love the Uber comparisons, but acknowledges that FlyOtto has been inspired by the ride-sharing giant's business model. "We finally created a way to make private air travel an impulse purchase, which it never really was before," he said. 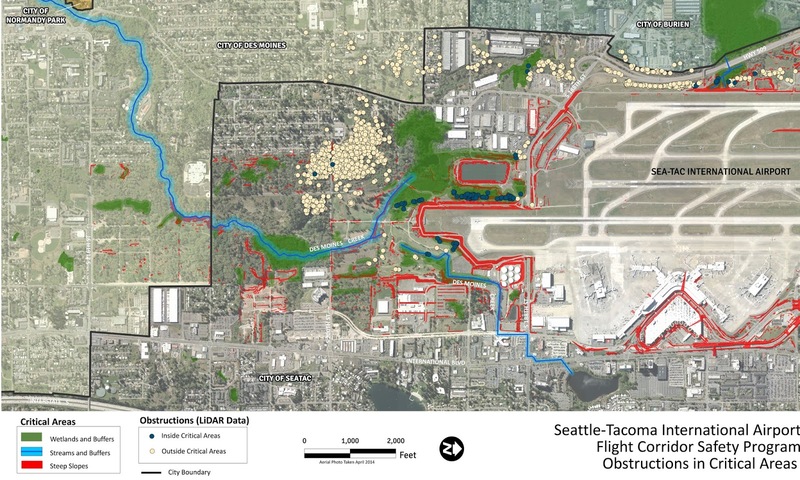 The proposed cutting down of “the draconian 2,270 trees” in the flight path corridors at Sea-Tac Airport was highlighted at the SeaTac City Council session Tuesday night (Sept. 13), with the Port of Seattle plan being opposed by the administrator of the South King County Cultural Association. Councilmembers, however, were told that the Port was only carrying out the mandate of the Federal Aviation Administration. Not to do what the FAA requires could have drastic implications, even to curtailing the number or type of flights, or possibly even losing federal grants to help finance the airport and the area. She said that not all of the trees can be saved, but perhaps most not would have to go. 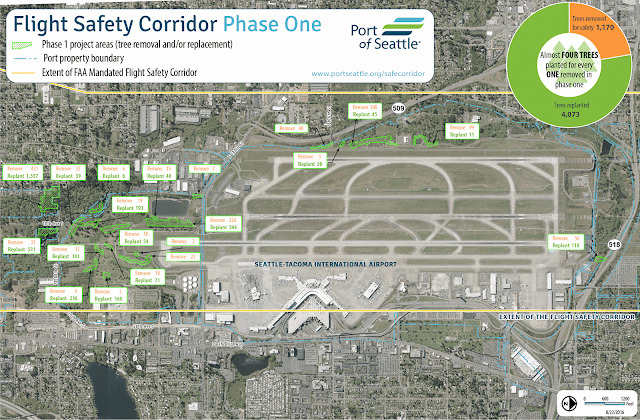 The Port of Seattle is not the instigator of the tree removal program, as it is mandated by the Federal Aviation Administration that controls all planes when they are taking off, landing or are in flight. Plus, Port officials in charge of the program say the removal of trees on private property will not begin until 2018, and after a thorough research of each situation. Unlike some cities in the nation, at Sea-Tac Airport there are no buildings that have to be removed. In one city a tall apartment had to be torn down. Here, the Port of Seattle plans to replace the removed trees with 4,000 native species trees to replace 2,270 trees taken down. The replaced trees are of a type that will not grow high enough to be problems in the future, Port officials told The SeaTac Blog on Thursday. That’s Gavilan College trustee Kent Child doing ribbon-cutting honors for the school's aviation program in its new home at San Martin Airport. Pictured from left are David Leonardo of Hollister Jet Center, who is standing in front of Gilroy Chamber of Commerce president Mark Turner, Childs, Gavilan trustees Lois Locci, Tom Breen, Walt Glines and Mark Dover, college president Kathleen Rose and human resources director Eric Ramones. 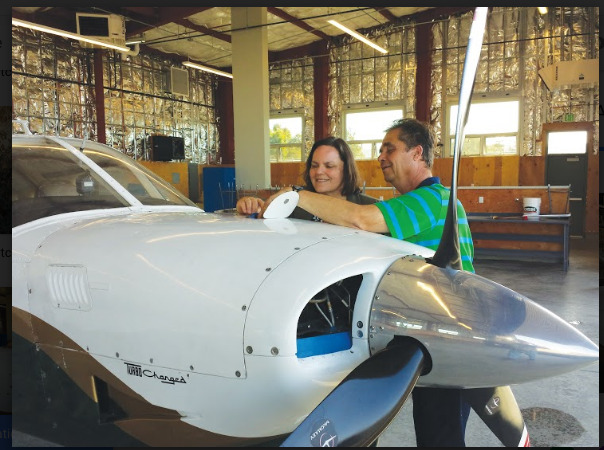 Within months of being hired this summer, Gavilan Community College president Kathleen Rose, above, got to buy an airplane for her school’s Aviation Maintenance Technology program. It’s a Piper, one of three planes used in the program where instructor Herb Spenner, above, has taught for six years. They are seen Tuesday at the grand opening ceremony for the school's new aviation program facility at San Martin Airport. After a six-year wait, one of most successful programs at Gavilan Community College hosted grand opening ceremonies Tuesday for its new home at the San Martin Airport. The school’s Aviation Maintenance Technology program began in the 1960s at Hollister Airport and is the only aviation career-training program of its kind in the region. 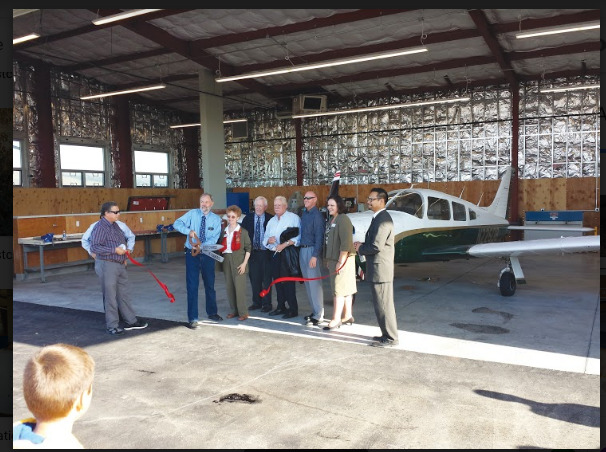 “This is a whole new chapter for Gavilan College,” said Kathleen Rose, the school’s recently hired superintendent and president as she stood near the cluster of renovated classrooms and a new hanger, replete with a Piper airplane for students—one of three planes students learn on. “One of the first things I got to do as CEO was purchase a plane, not many CEOs get to do that,” she quipped. Several dozen well-wishers, faculty, local officials, representatives of chambers of commerce and the two candidates in the November Gavilan board of trustees election, Danielle Davenport and Rachel Perez, joined Rose for the ceremony. Others at the Tuesday afternoon ribbon cutting included representatives of U.S. Rep. Zoe Lofgren and Santa Clara County District 1 Supervisor Mike Wasserman. Rose thanked county and San Martin Airport officials and college staff, among others, for their assistance in making the project happen during a six-year effort that was not without its trying moments. Instructor Herb Spenner said the program has 30 students but a capacity for 50; graduates of the two-year course have a robust employment market waiting for them, he added. With the skills acquired in the program, graduates can work for airlines, corporations with private planes, helicopter operations, the space industry, or can go into business for themselves, as one graduate did in Alaska, said Spenner. He has taught at Gavilan for six years after a career in military aircraft design. Indeed, United Airlines had a recruiter, Ana Maria Pena, at the event. “The industry is ready and waiting to hire,” she said, adding that she attended as part of United’s efforts to open a pipeline to employment for Gavilan’s aviation graduates. The course teaches the basics and more advanced aspects of engine and airframe work and readies students for Federal Aviation Certification—the experts who deem aircraft airworthy or not—according to Spenner. He is one of three instructors in the program and all are Gavilan graduates, he said. “This a great example of how Gavilan is meeting the needs of the community,” said Gavilan College trustee Walt Glines of Gilroy. “This project will enable the college to double the number of students who will be in line for good-paying jobs in the ever-growing aviation field. Many land jobs at Bay Area airports. The grads earn around $57,000 a year to start,” he said. Spenner said salaries can reach into six figures. Glines called vocational programs such as the Gavilan’s aviation courses “a mainstay” of community colleges. “Not everyone wants to gain a two or four-year academic degree,” he said. The program moved from its headquarters at the Hollister Airport to the college’s main campus in Gilroy in 2010. For the next six years students divided their time between classes in the campus Multipurpose Building and lab work at San Martin Airport hangars. With the help of former District 1 supervisor Don Gage, talks began in 2010 with the county, which owns the San Martin Airport, aimed at relocating the whole aviation program to that facility. In 2015, the Board of Supervisors approved a 20-year lease with two five-year renewal options, according to the college. Sherrean Carr, dean of Career Technical Education overseeing the aviation program, said in a college press release that the overall process, from first inquiry to groundbreaking for the new construction, was slow but steady. She credited success to the aviation faculty, many departments at the college, numerous people at the county and especially the efforts of Fred Harris, vice president of administrative services, who got everyone to “yes” during the process. 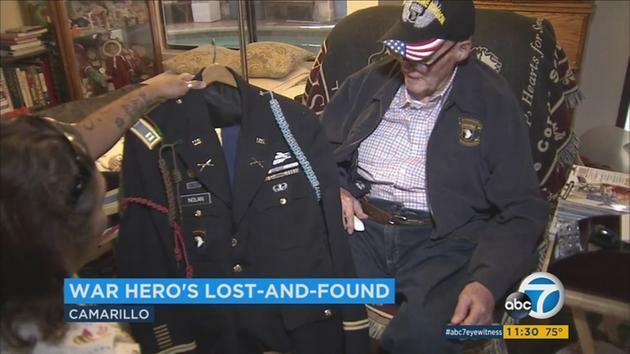 CAMARILLO, Calif. (KABC) -- A World War II veteran was devastated when his luggage containing all his war uniforms, ribbons and medals was lost by United Airlines when he flew out of the Los Angeles International Airport for a reunion in Virginia. After Emmett Nolan's family reached out to ABC7 for help using #abc7eyewitness on Monday, United Airlines said they were searching for his luggage. Nolan's luggage, after being missing for nearly a month, was delivered to his home in Camarillo on Thursday. "I thought it was gone. I didn't think we'd recover it. Thought someone had found it, bootlegged it and sold it," Nolan explained. "We got the people, they called in (to ABC7) and you people really got on the ball and they chased it down and they found it in Newark, New Jersey." Nolan was heading to Norfolk, Virginia, for a reunion with his brothers of the 101st Airborne Screaming Eagles. He was 18 years old when he enlisted in the U.S. Army back in 1943 and he became a paratrooper with the elite division. Nolan's first battle was the Normandy Invasion and he also survived the Battle of the Bulge. DENVER, Sept. 15, 2016 -- Air Methods, America’s largest air medical provider and helicopter operator, today announced the promotion of Leo Morrissette to senior vice president of aviation operations. 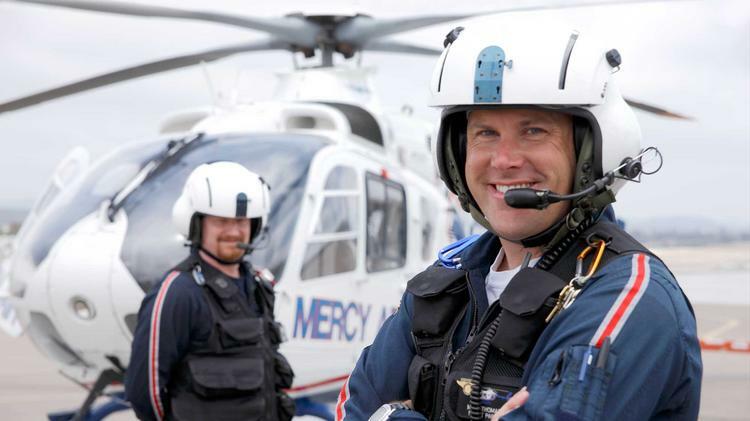 Morrissette will oversee the Company’s air medical part 135 certificate operations, including aviation, maintenance, and pilot training, in addition to Air Methods Communications (AirCom) and fleet management. Morrissette joined Air Methods in 2013 as vice president of aviation support services, providing leadership support for aviation in the field. Prior to Air Methods, Morrissette served as vice president of operations at CHC/Heli-One, the world’s largest helicopter services company specializing in helicopter maintenance, repair and overhaul, transportation to offshore oil and gas platforms, and rescue services. He was responsible for all maintenance operations in North America. From 2002 through 2011, Morrissette served in leadership roles, including vice president of customer support, at Turbomeca, a French manufacturer of low- and medium-power gas turbine turboshaft engines for helicopters. He started his career as an AP mechanic in 1989, after serving in the United States Army as a helicopter technician. Morrissette received an Executive Master of Business Administration in international business from the University of Texas at Dallas. On August 25, 2016, at 0651 universal coordinated time, a Yakolev YAK-11, US registration N111YK, crashed under unknown circumstances in Speyer, Germany. 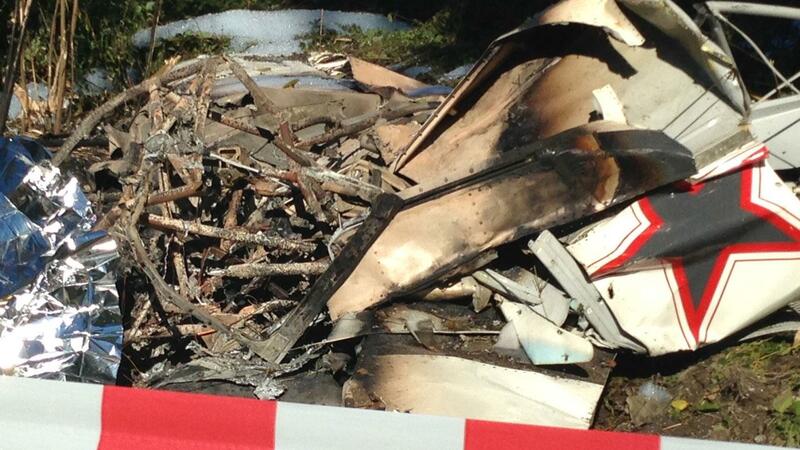 The pilot was fatally injured and the airplane was destroyed. The balloon was participating in a festival, and departed from a grass field with the private pilot and two passengers on board. 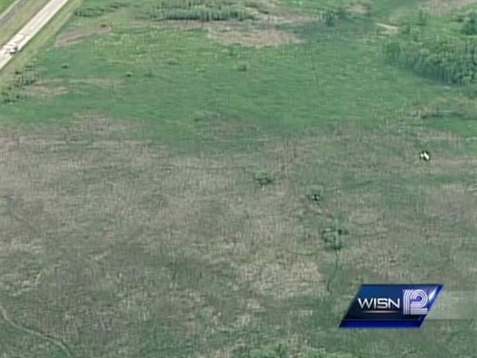 The balloon climbed to 1,100 ft above ground level and drifted west. The pilot reported that, as the balloon approached a set of power lines, the wind diminished and the balloon became stationary. The pilot changed altitude several times in an attempt to find wind velocity and direction that would move the balloon away from the lines; however, as he again engaged the burners and attempted to climb, the burner system ran out of fuel. The balloon descended, and one of the metal carabiners that attached the basket to the envelope struck a power line, resulting in a spark. The pilot pulled the deflation valve and immediately descended the balloon to the ground. A postaccident examination of the balloon showed impact and thermal arcing damage to the carabiner. Two of the envelope panels exhibited thermal damage, and the envelope temperature sensor wire, which runs from the top of the envelope to the instruments in the basket, was burnt in half. 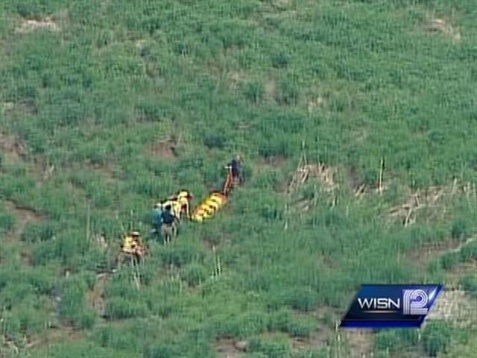 The pilot reported there were no mechanical malfunctions or anomalies with the balloon. The pilot’s improper inflight fuel management, which resulted in fuel exhaustion and an inability to avoid contact with power lines. On September 4, 2016, about 0830 mountain daylight time, a Cameron Z-90 lighter than air balloon with airborne heater, N982ZS, struck a power line and terrain during an uncontrolled descent, two and a half miles northeast of Morrill, Nebraska. 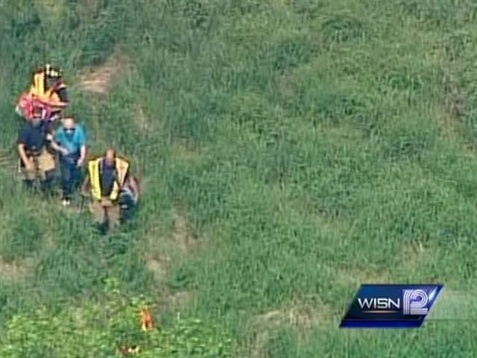 The pilot and two passengers on board were not injured and the balloon received substantial damage. The balloon was registered to, and operated by a private individual under the provisions of 14 Code of Federal Regulations Part 91 as a personal flight. Visual meteorological conditions (VMC) prevailed for the flight that was operated without a flight plan. The local flight originated from the Mitchell, Nebraska, about 0726. The flight was part of a balloon festival that was taking place at the time. The pilot and passengers took off from a field near Mitchell, Nebraska, climbed to 1,100 ft. agl, and drifted west at 4 to 5 knots. The pilot reported that as he came over the power lines the wind speed reduced to calm and the balloon stopped. The pilot changed altitudes several times to find wind velocity and a vector that would move him away from the lines. After several attempts to maneuver away from the lines the pilot engaged the burners to climb to a higher altitude. As he engaged the burners, the pilot said he heard a change in the burners sound. He checked his fuel gauges; the quantity was low, and engaged the burners again, but the balloon began to lose altitude. During the uncontrolled descent, the balloon contacted the power lines causing a spark. The pilot pulled the deflation line to get the basket on the ground. The balloon basket contacted the ground and the envelope draped over the power lines. An examination of the balloon showed thermal arcing damage to one of the carabineers that attached the basket to the envelope. There was also thermal damage to two panels in the balloon envelope, and the envelope temperature sensor wire that runs from the sensor at the top of the envelope to the instruments in the basket was burnt in half. No other anomalies with the balloon or its systems were found. At 0853, the weather conditions at Western Nebraska Regional Airport (BFF), Scottsbluff, Nebraska, 18 nautical miles east-southeast of the accident site was clear skies, visibility 10 statute miles, and wind 150 degrees at 6 knots. On September 4, 2016, about 0830 mountain daylight time, a Cameron Z-90 lighter than air balloon with airborne heater, N982ZS, registered to and operated by a private individual, struck a power line and terrain during an uncontrolled descent, two and a half miles northeast of Morrill, Nebraska. 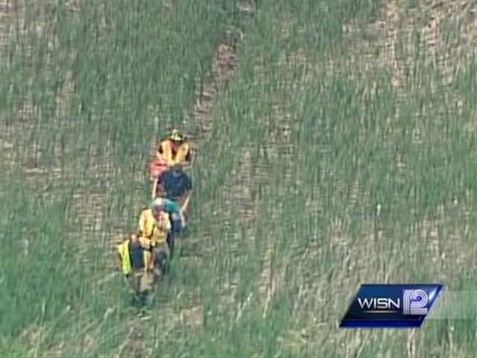 The pilot and two passengers on board were not injured and the balloon received substantial damage. Visual meteorological conditions (VMC) prevailed at the time of the accident. The personal flight was being conducted under the provisions of 14 Code of Federal Regulations Part 91 without a flight plan. The local flight originated from Mitchell, Nebraska, about 0700. The pilot reported that he ran out of fuel while in flight and was not able to maneuver the balloon to his intended landing site. During the uncontrolled descent, the balloon struck powerlines, which did thermal arcing damage to one of the carabiners that attaches the basket to the envelope. There was also thermal damage to two panels in the balloon envelope, and the envelope temperature sensor wire that runs from the top of the envelope to the instruments in the basket was burnt in half. AIRCRAFT FORCE LANDED ON A HIGHWAY AND STRUCK A ROAD SIGN, NEAR COVINGTON, GEORGIA. 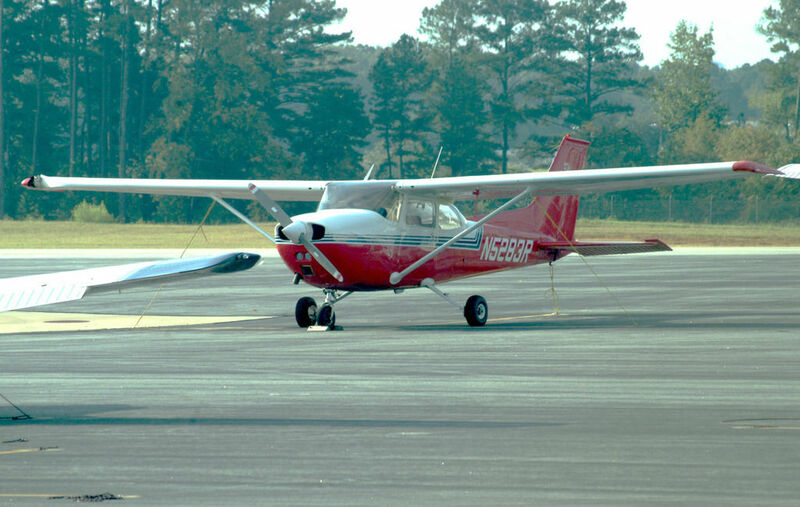 After running out of fuel and making an emergency landing on I-20 in Newton County, a small plane sits in the plane parking area at Covington Municipal Airport, waiting for inspection by FAA officials. The only apparent damage to the plan is a small dent that can be see on the front end of the right wing (far left in photo). It is not known if the dent was caused by the emergency landing, or was already there. COVINGTON - FAA investigators are at the Covington Municipal Airport today, examining a small plane after the pilot reportedly ran out of fuel and made an emergency landing on Interstate 20 west near mile marker 95 just before midnight Saturday. 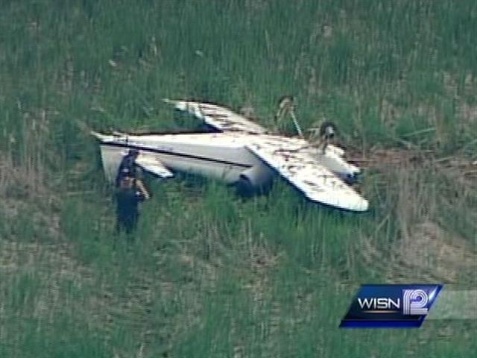 The plane landed safely and no one was injured. A Newton County Sheriff’s Office incident report identifies the pilot as Jeremy James Dupree, 38, of Covington. Dupree told deputies that he was flying from Valdosta to Monroe in his 1974 Cessna 172 when he ran out of fuel and had to make an emergency landing on I-20. According to the Georgia Department of Transportation, they received a call at 11:57 p.m. from Dupree stating he had just landed on I-20. 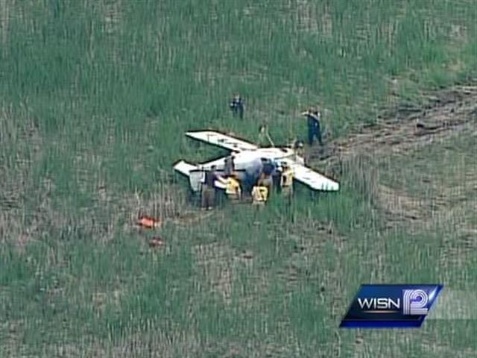 Dupree was able to move the plane into the grass and it was not blocking any travel lanes. Police and emergency vehicles, along with the FAA and the Georgia Emergency Management Agency, responded to the scene. Dupree was able to put more fuel in his plane and, with deputies from the Newton County Sheriff’s Office shutting down I-20 briefly, was able to taxi his plane off the interstate at the Ga. Highway 142 exit. The plane was transported to the Covington Municipal Airport and parked in the aircraft parking area. The only damage that could be seen on the plane was a small dent in the front side end of the right wing. It is not known if the damage was caused in the landing or was already there. AIRCRAFT ON LANDING, NOSE WHEEL COLLAPSED, BEDFORD, MASSACHUSETTS. The pilot reported that, while landing in a left crosswind, the right main landing gear touched down first, followed by the left main landing gear, and the airplane veered left. 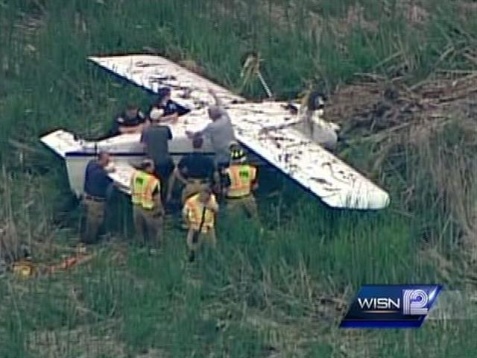 The pilot performed a go-around and made a second landing without further incident. However, subsequent examination of the airplane revealed that the left wing had been substantially damaged due to contact with the runway during the first attempted landing. The pilot stated that there were no preimpact mechanical malfunctions or failures that would have precluded normal operation. Review of weather data revealed that the wind was from about 50 degrees left of the runway heading at 12 knots at the time of the landing. The pilot’s failure to maintain airplane control while landing in a crosswind. The flight instructor reported that, during the instructional flight in a tailwheel-equipped airplane, the student pilot bounced the landing. 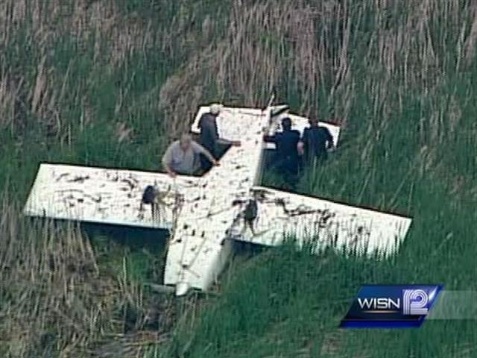 The airplane bounced off the grass airstrip, and the flight instructor took the flight controls, but the airplane drifted to the left and into a drainage ditch. The flight instructor reported that he corrected with right rudder application to ease the airplane out of the ditch, but the left landing gear tire deflated, and the left wing and the tail struck the ground. The airplane yawed to the left, the instructor corrected the yaw, and the airplane rolled onto the runway and stopped. The left wing, left aileron, and the elevator sustained substantial damage. The flight instructor reported that there were no preaccident mechanical malfunctions or anomalies with the airplane that would have prevented normal operation. The student pilot’s improper landing flare, which resulted in a bounced landing, and the flight instructor’s inability to recover the airplane, which resulted in a runway excursion. According to a Federal Aviation Administration Aviation Safety Inspector, the pilot made a hard landing and the left main landing gear wheel separated from the airplane. Subsequently, the pilot aborted the landing, and on the second landing, the airplane ground looped. 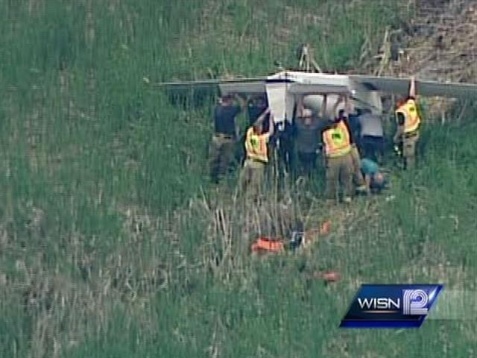 The airplane received substantial damage to the lift struts and lower fuselage. After multiple attempts to contact the pilot, the pilot did not fill out the National Transportation Safety Board Form 6120.1 Pilot/Operator Aircraft Accident/Incident Report, or talk to the National Transportation Safety Board in regard to the accident. AIRCRAFT LANDED GEAR UP, WHITEFIELD, NEW HAMPSHIRE. AIRCRAFT FORCE LANDED ON A HIGHWAY, NEAR BURLEY, IDAHO. The pilot reported that while landing at dusk, he attempted to activate the pilot controlled lighting system, but was not successful. He further reported that there was a significant left crosswind, and that perhaps he did not crab enough. The airplane touched down on the grass to the right of the runway, he applied left rudder, the airplane veered to the left, crossed the runway, and continued off the runway to the left into rough terrain. The nose landing gear collapsed and the airplane came to rest in a nose down position. According to the pilot, the weather at the time of the accident was wind 170 degrees true at 11 knots. The airplane landed on runway 24. 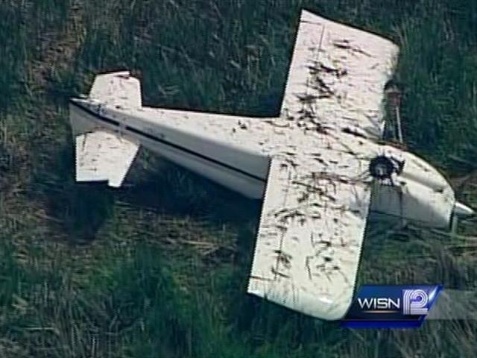 The pilot’s failure to maintain directional control during landing with a crosswind. 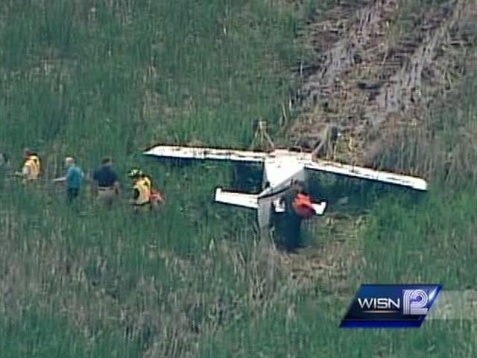 The pilot reported that he approached the airport, intending to land on the grass runway. He said that his approach was high and he introduced a slip in order to lose altitude. During the slip, the airplane turned to the left, which he did not notice. He continued the landing and the airplane nosed over. 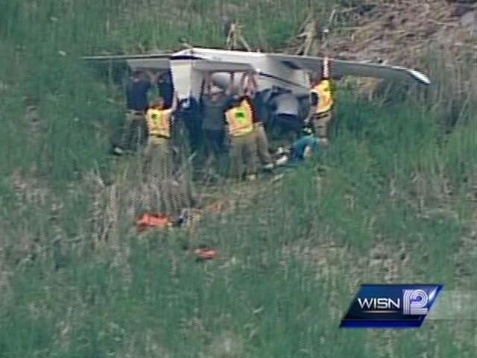 The airplane sustained substantial damage to the right wing and vertical stabilizer and rudder. 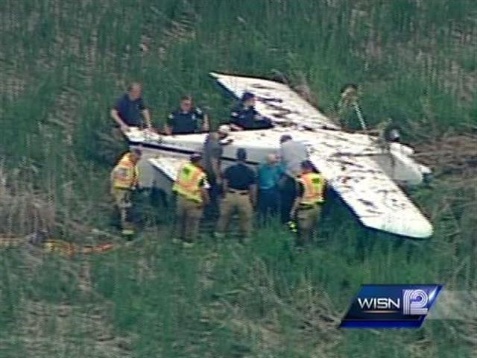 The pilot stated that there were no mechanical problems with the airplane. 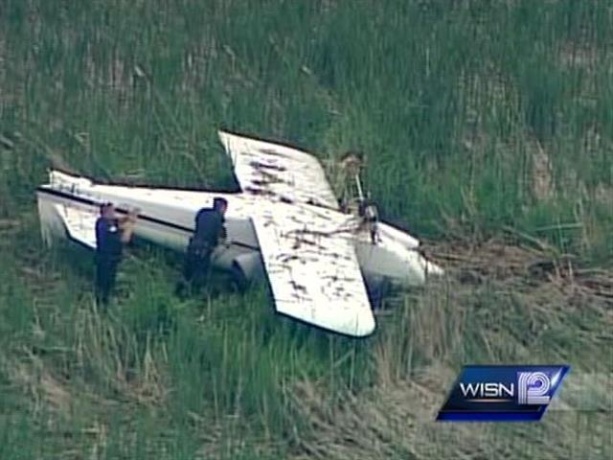 Postaccident examination revealed that the airplane was landed in a marsh about 400 yards north of the east-west oriented runway. 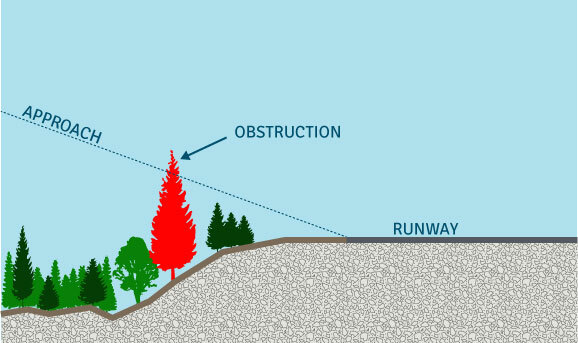 The pilot's failure to maintain runway alignment and his failure to recognize that the airplane had drifted away from the runway prior to landing. So just where does that sheriff's plane fly?